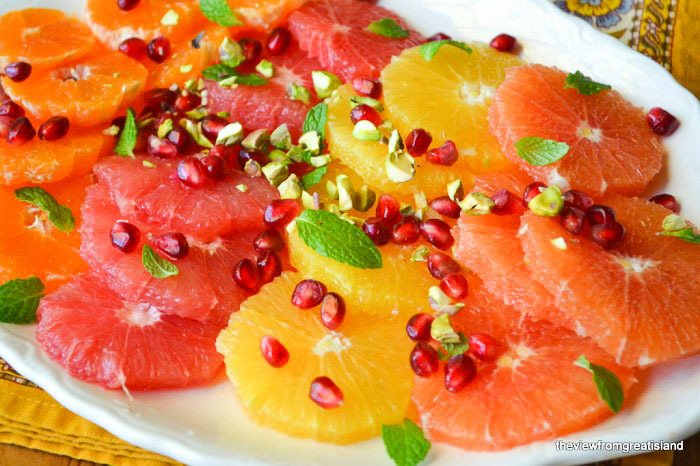 Citrus Salad with Pomegranate and Pistachio is a wonderful way to celebrate citrus season! I get so excited when I see the citrus fruit start to flood into the stores in December. I’ve been buying tangerines and clementines, cara cara oranges, navels, and all kinds of grapefruit and pomelo, (the giant sweet white fruit that looks like a grapefruit.) I’m celebrating with a salad that is as vibrant and beautiful as it is healthy. 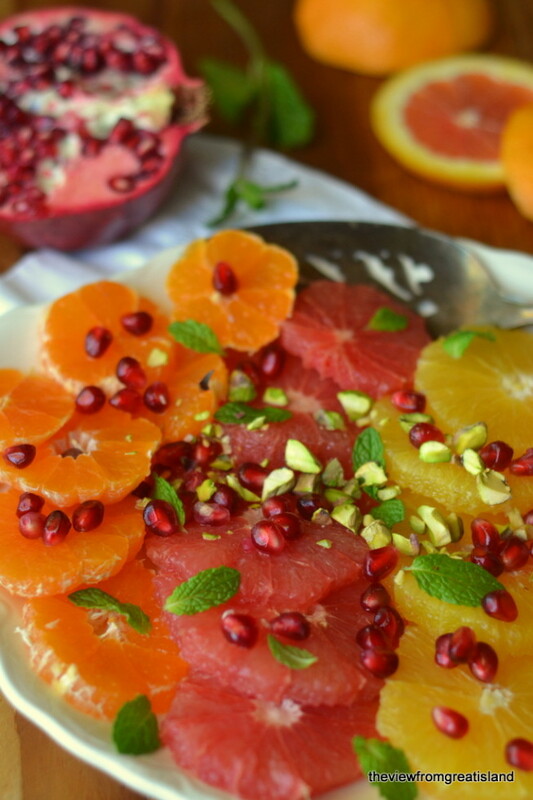 I’ve made several citrus salads along these lines, they’re some of my favorite recipes, like my stacked Sicilian Citrus Salad, which I have to say is one of the prettiest dishes I’ve ever made, and my Spicy Orange Moroccan Salad. Today’s salad is inspired by this salad, from the new cookbook Pomegranates & Pine Nuts, a collection of Lebanese, Moroccan, and Persian recipes. I don’t have the book yet, but it’s on my wish list. I’m in love. I will be eating this salad all winter long. 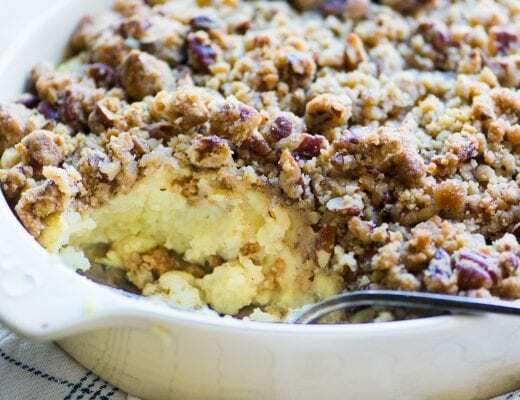 It actually keeps well overnight in the fridge, too, so you can enjoy the leftovers. When was the last time you could do that with a salad? I came up with a new way of peeling citrus fruit that I really like. Instead of trying to cut off the entire rind first, and then slice the squishy fruit, I slice the whole fruit with the peel on, and then take kitchen shears to cut away the rind. There is no waste, absolutely no pith, and the shape stays nice and round. The only exception to this is for small tangerines or clementines, whose peel comes off easily before slicing. 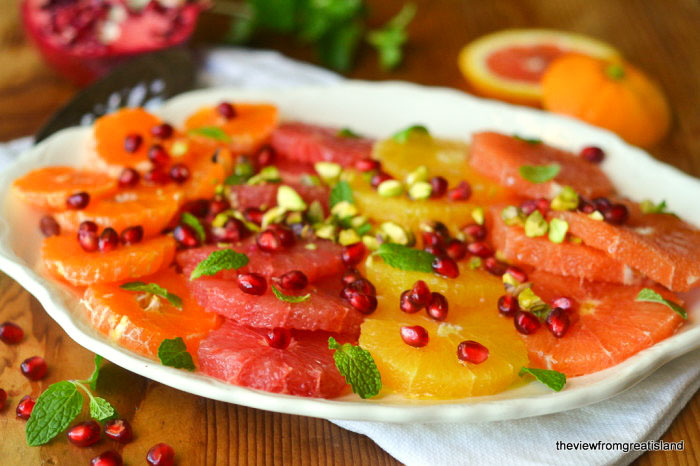 Even without blood oranges you can get a beautiful palette of warm tones from everyday citrus. Obviously seedless varieties work best. 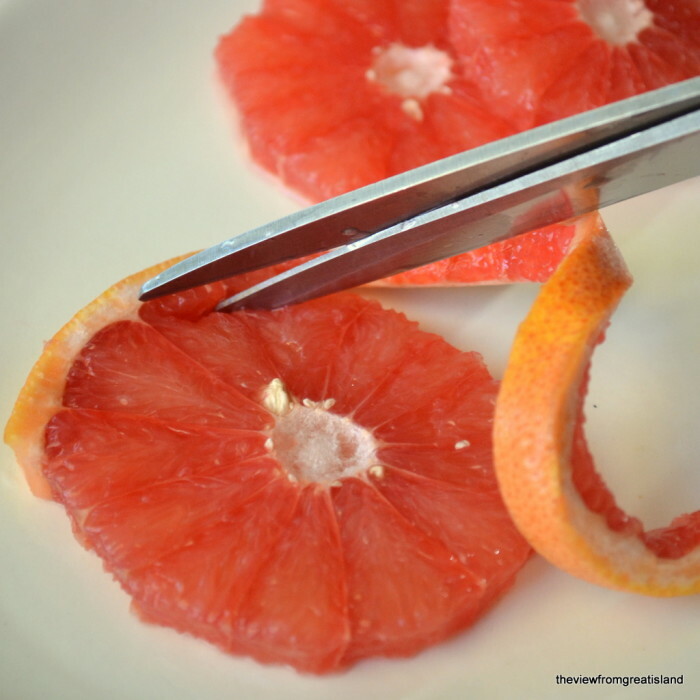 Slice the citrus fruit, and then carefully cut the rind off with kitchen scissors. Remove any seeds. 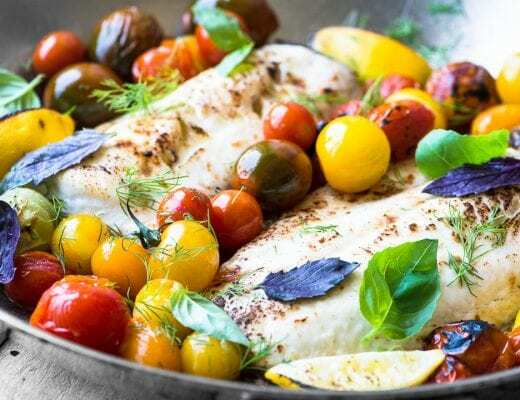 Layer the fruit attractively on a platter or individual plates. Scatter the top with the mint leaves, chopped pistachio nuts, and pomegranate sees. Drizzle with olive oil and pomegranate molasses just before serving. This has Christmas table written all over it, don’t you think? I have nearly the same receipt from a morrocan cookbook. But instead of olive oil they use walnut oil. And as a souvenir from morocco, i use instead argan oil. The flavour of nut from wlanut or arganoil is a good addition to tha salad. Sounds wonderful — I love walnut oil, but I’ve never tasted argan oil, here we use that mostly in beauty products :) Welcome in from Germany Norbert! So, so pretty. 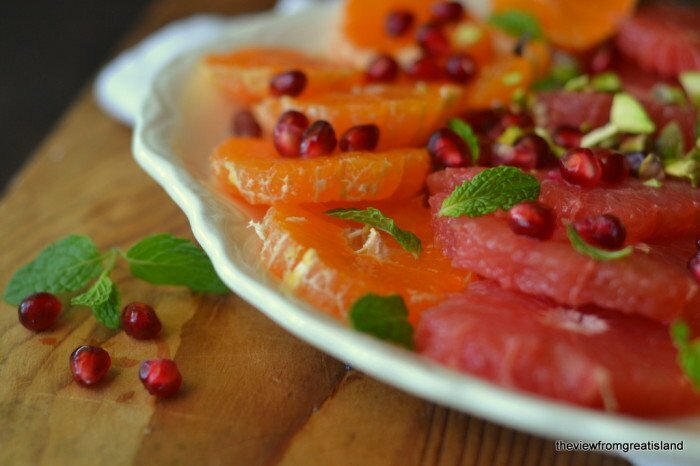 I love citrus salads and make an orange one quite often. I must try your method of removing the rind. 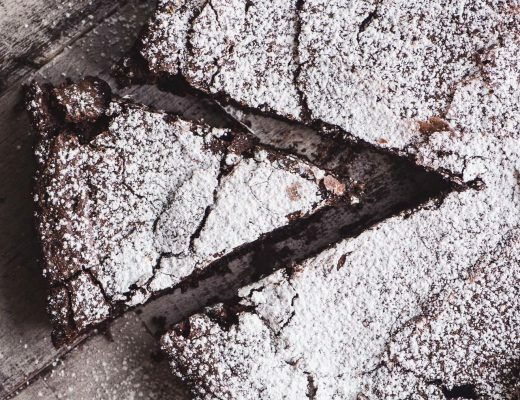 It certainly produces a prettier slice. Such a pretty salad. I have a container full of pomegranate arils left over from Thanksgiving–maybe this is what I should do with them! Great idea for the slicing! I was really happy to discover it, Deb, I use sliced citrus a lot, and always made a huge mess, this is so much better.